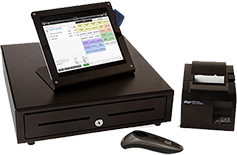 Vend is point-of-sale, inventory, and customer loyalty software for iPad, Mac & PC. Easily manage and scale your business, from one store to many, in the cloud. Click on the link to get started and see the customization that Vend’s cloud base solution provides. Never used a POS before? Vend is easy to set up, and a joy to use, allowing you to upload a product and make a sale in minutes. Once you’ve accumulated sales data, our powerful reporting tools will help you see more about your business than ever. We also offer numerous support options to help you get started, including tutorials. Moving from an existing POS? With Vend, you can bring your existing data to the cloud, and access it anywhere, at anytime. If you need assistance, we can help prevent business downtime by migrating the data for you. Vend works across a variety of systems, so the option to upgrade or keep your existing hardware is up to you. Vend allows you to track real-time sales and modify inventory details at all of your business locations, with the click of a button. Add registers, locations or cashier permissions from any Internet access point. Vend will help you scale up at speed, not at cost. Vend connects to the best business apps in accounting, eCommerce, staff rostering and more – run your entire business online. Hippo Charging will set up the merchant account to work with your VEND system. Get started with your merchant account today by filling out the form below.